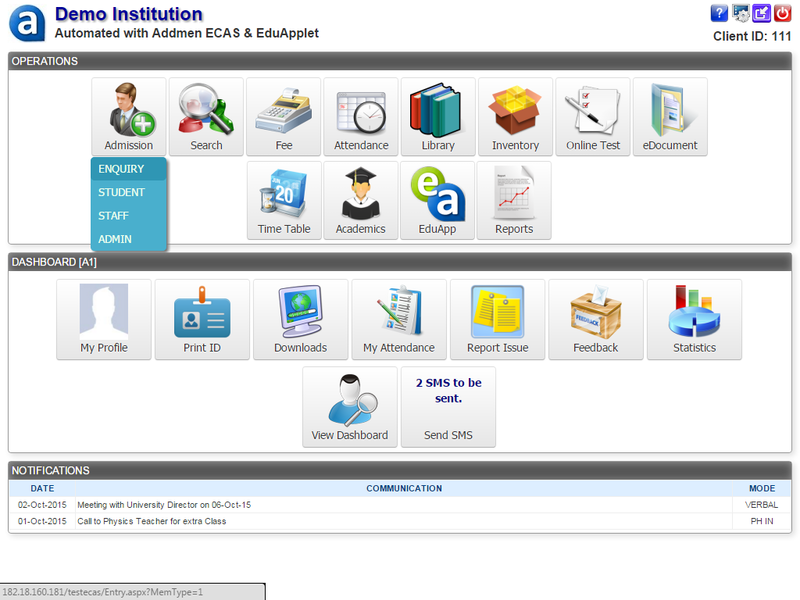 ECAS (Enhanced Campus Automation System) has an elaborate and sophisticated module for all kinds of enquiries and follow-up management. ECAS is a browser-based application that runs on a server and can be accessed from various terminals on the web browsers. 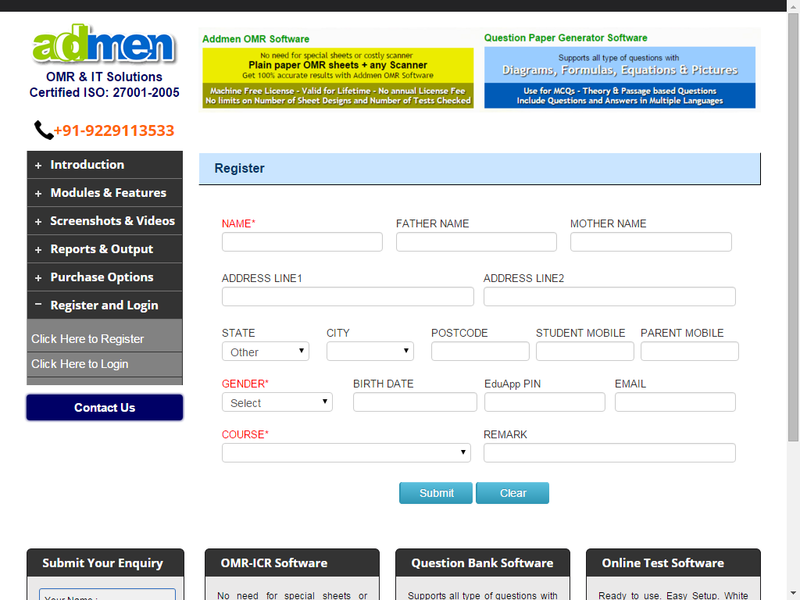 Such an educational software helps candidates to enquire about a school, college or a university online. Any enquiry needs to be registered and documented and so an enquiry registration panel is designed for the office administration. The module provides two modes of enquiry registration: Front office enquiry registration and Online enquiry registration. This is a mandate in a school administration software. 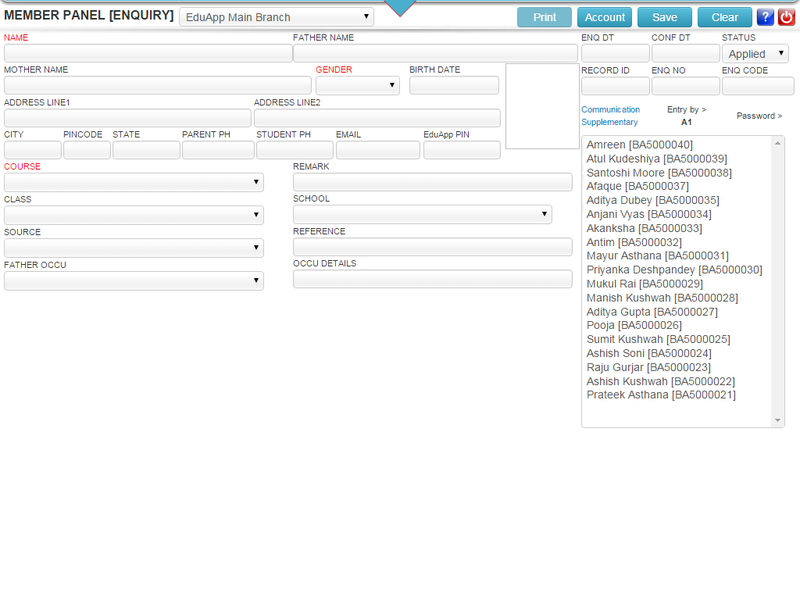 The field structure in the enquiry registration panel is dynamic and can be defined as per client needs. This includes student details, enquiry details, admission mode, course, family details, etc. Field titles and behaviours can be changed and be set as selectable, direct entry, compulsory, optional, numeric/text, etc. An online form can be made available for the candidates where enquires can be registered online directly from the institute website. Though these enquiries are registered from two different sources, front office and online, enquiry logs are categorically organized and maintained into the database reference-wise, agent-wise, etc. A communication record can be noted in a separate window and categorized with reminders so that all the enquiry interaction is available to the admission office for future references. These communication records are very beneficial for scheduling future follow-ups. Usually there is a follow-up after every enquiry. These follow-ups need an equally efficient institute management system and ECAS offers a very friendly user interface searching them. The search panel gives you several filters like course, source, percentage, admission mode for searching the desired follow-ups. You can also get a quick listing of date-wise or today’s follow-ups as recorded in the database. Enquiries are daily processes and ECAS offers an up-to-date system for tracking past history and future follow-ups. A detailed communications report can be obtained from the system to check the admission status of an institute. This report contains student details, past history, scheduled date, interaction, grading, etc. The communication reports are also available in printable formats. Enquiries are the first step processes of an institute management system and mistakes or errors cannot be risked during such operations. That is why ECAS has been logically designed to carry out the complexities in an administration.